How do you cut your cost per lead from Facebook advertising in half? That’s the subject of this case study and it all starts with this age old question…. Which bidding option matches which Facebook ad? Most of the time when we are placing ads for Facebook, we are doing so for a client who wants to gain an opt-in for some kind of Lead Magnet. As you’re probably aware, a Lead Magnet is a small chunk of value given in exchange for an opt-in. 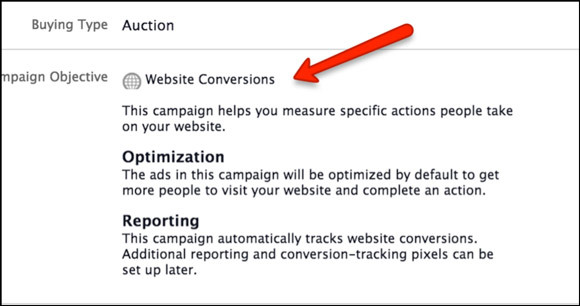 As soon as someone opts in, they are considered a “conversion”…so it stands to reason that the Facebook ad type “Website Conversions” is ideal for anyone looking to get opt-ins. But instead of blindly taking Facebook’s word, we’ve done some testing on not only other ad types, but also the type of bidding used in order to best get that conversion. … as well as multiple bidding combinations in order to see which recipe would get us the lowest cost per conversion for our clients. Today we answer the age-old question with testing and data. Which bidding matches with which Facebook ad? 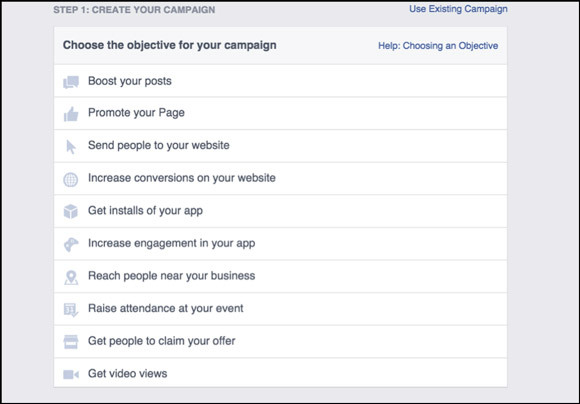 When you first start creating your ad, Facebook gives you a myriad of ad type choices. Each ad type has its place, but for a direct response marketer who is looking to get generate leads, the “Increase Conversions on your website” type is particularly enticing. 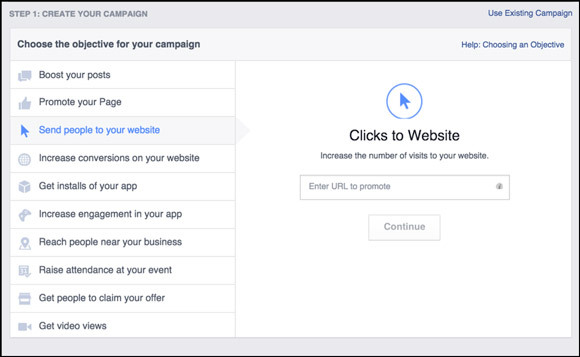 What if we started our ads with “Clicks to Website” instead of “Website Conversions”? Would that give us more conversions? Could we “hack” the system and somehow do even better if we didn’t do exactly what Facebook told us to do? As entrepreneurs, we are always looking for cool new techniques to “hack” the conventional way of doing things…so we figured this was worth a try. In fact, for many months prior to the last twelve or so, this is the type of ad type we used for the majority of our clients – and in some niches getting costs per lead under a dollar! In those cases, website conversion ads did not work as well and actually returned us a HIGHER cost per lead. But now with the Facebook algorithm even more refined, could we do the same now with Clicks to Website? At a cost per lead of $4.75 for this first test, this wasn’t too bad…but not good enough for our client. What would happen if we exactly duplicated the campaign, ad set and ads but switched to Website Conversions? And further… what if we started off at a conversion goal that was slightly higher than what we wanted and then squeezed it down over time to get it even lower? Having tested the various capabilities of optimized bidding in the past with mixed success, we figured it was worth a shot. Although we used optimize for conversions as our bid type, we started our conversion goal higher, then lowered it over the course of a few weeks, we could potentially lower our cost per lead. So we figured this was happening because we weren’t giving Facebook enough leeway – so we raised our conversion goal up even more to $7. The impressions started to roll in. Resulting in a 44% reduction in cost per lead. Not too shabby for a short test – proving that Website Conversions seems to be the way to go when trying to get the lowest cost per conversion. They wanted leads in the $2 range. For Test #1 above we used “Optimize For Conversions” bidding but set a specific price for which we would pay for a conversion. We then tried to “work the algorithm” by ratcheting down that price to see if we could get the cost per lead even lower. It didn’t work as well as we had expected, but it did lower our overall cost per lead. But based on those results, we had to test some new interests in order to get the cost per lead even lower – which meant starting form scratch with a brand new interest grouping. Since we had paused the ads for a month or so, would Facebook remember anything we had done previously? We decided we would start from scratch and try a new strategy using Website Conversions with CPC first and when Facebook “got to know” this new interest audience, we’d switch over to optimized bidding. The conversions were just OK at $5.59 – a far cry from the $2 goal of the client so we didn’t let this one go too long. 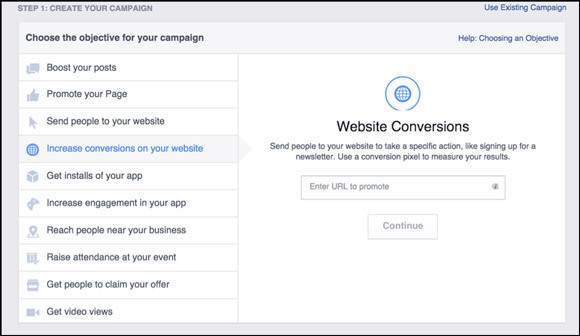 We had heard (since confirmed by our Ad Rep) that as soon as you get 30 conversions, Facebook starts to “understand” who in your audience will convert for you at the lowest cost. So without delay, and due to the fact we didn’t want to waste any more of the client’s money, we immediately created a new campaign with optimized bidding and paused the current campaign. Once again, a much better result with a cost per lead far lower on the Optimized Bidding ads versus the CPC ads. Resulting in a 45% reduction in cost per lead. This one proved another point that if you want to get conversions, let Facebook do the bidding for you. We already proved that Website Conversions seems like the way to go when trying to get the lowest cost per conversion versus Clicks to Website – if conversions are your goal. 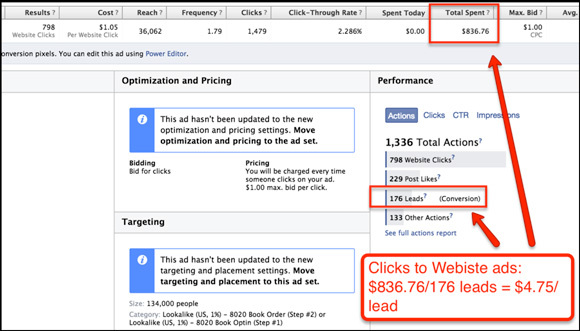 Although a $3 cost per lead is a good cost per lead on Facebook…we had to do better. Nothing like a little pressure to keep you on your toes! Pouring through past conversion data, we noticed that there was one interest grouping that had a high click through rate…but very low conversions. When you see a really high CTR, lower cost per click, but super low conversions, you probably have an issue with…your landing page. We saw that these old ads had relatively high CTR 2-3% (which was higher than all the other ads we had running) and the cost per click was ~ 50 cents…but the cost per lead was between $3.72 – 8.46. As this interest grouping had been previously untapped, was very large (which is just perfect for optimized bidding) as well as one that was an ideal fit for the clients products, we decided to create a brand new landing page for this one interest group. 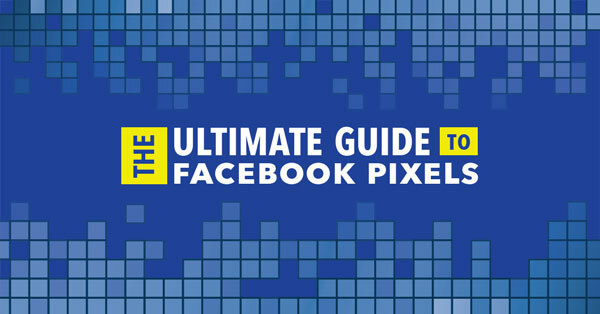 Since we now had hundreds of conversions on this one conversion pixel, we figured we could probably just start with straight optimized biding. But to be safe we decided to start with CPC bidding, and as before, let Facebook “get to know” this new interest grouping, then switch over to optimized bidding. 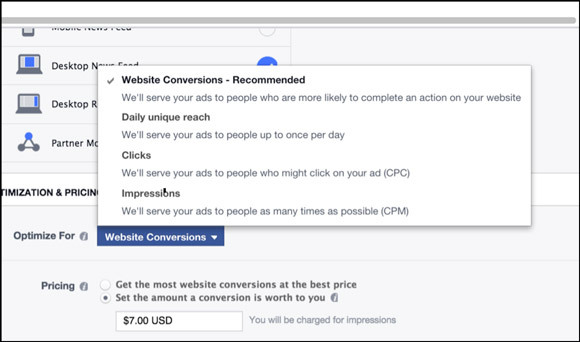 But this time, instead of letting Facebook control the cost per conversion, we would control the price of the conversion that we would pay using optimize for website conversions manual bidding. At a $2.10 cost per lead, we were FINALLY right where we needed to be! Resulting in a 49% reduction in cost per lead and achieving our goal of a sub $2 cost per lead. 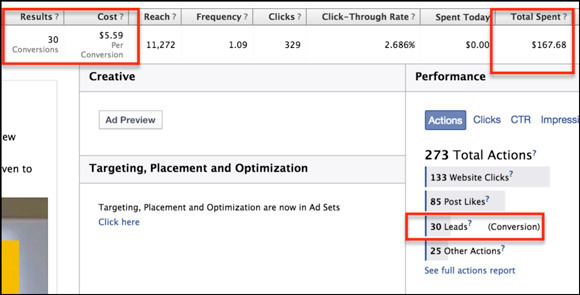 When doing optimized bidding, Facebook will help you reach your conversion goal. But if you have very specific goals – it seems that you may need to spoon-feed them a little more instruction by manually setting up your own conversion goal amount. By bidding 100-150% ABOVE your conversion goal – in our case bidding $5 per conversion, with an ultimate goal of $2 per conversion – this seems to give Facebook enough bidding leeway to achieve your goal. For everything to work really well, you must have a high converting landing page – ideally, one that perfectly matches your interest targeting. With Google pay per click advertising, an advertiser is forced to do create landing pages that perfectly match keywords. If you don’t have a good ad copy to landing page match, Google will penalize you with extremely high cost per click and very low conversions. Is Facebook now indirectly doing the same thing? Or is this just direct response marketing best practice? It seems that with Facebook, you may not be forced to create a unique landing page for your ad…but if you really want to harness the power of Facebook ads, you’ll want to consider creating unique landing pages for your most responsive audiences. However, the extra work you put into your ad, your bidding and your landing page, the more likely you will be rewarded with really low costs per conversion. And then, you can control that cost per conversion even further by using optimized bidding. Ralph Burns is the CEO of Tier 11, a digital advertising agency that specializes in helping businesses scale through Facebook advertising. Ralph's agency manages a portfolio of Facebook advertising customer accounts in over 30 industries with an annual spend in excess of $40 million. Previous Post [Split Test] Does an Offer Link on a Deep Funnel Image Increase DM Lab Sales?